Yer Blues was written and composed by John Lennon during the Beatles' retreat in Rishikesh, India. It appears on the Beatles White album. 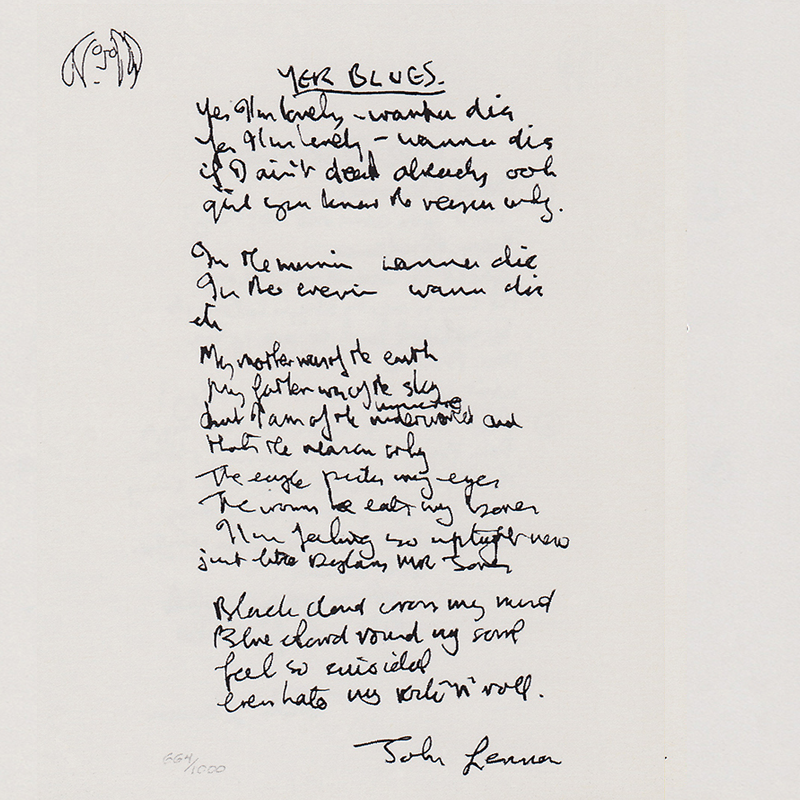 Lennon wrote "Yer Blues" as a parody of British imitators of the blues, featuring tongue-in-cheek guitar solos and rock and roll-inspired swing blues passages.